This is a genuine Premium Compatibles Inc. / PCI Brand quality replacement cartridge that replaces your used Dell 310-8399 toner cartridge. Our PCI Dell 310-8399 magenta toner cartridge gives you 8000 pages average at 5% print coverage and is 100% guaranteed to perform with your printer. The PCI Dell 310-8399 toner cartridge replaces your original Dell 3110cn, Dell 3110, Dell 3115cn orDell 3115 toner cartridge exactly. PCI is a proud USA owned and operated corporation. We combine precision manufacturing with rigorous multi-layer quality control procedures to provide you with a Dell 310-8399 toner cartridge replacement you can rely on. Our PCI Dell 310-8399 magenta toner cartridge replacement is manufactured to the highest standards and all our products come backed with our Premium Promise factory direct 1-year warranty. PCI 310-8399PC brings you superior savings over Dell 310-8399 and delivers proven print quality and customer satisfaction. Relax and enjoy the savings knowing that use of this PCI Brand Dell 310-8399 toner cartridge will not void your printer warranty. The PCI Dell 3110cn, Dell 3110, Dell 3115cn orDell 3115 toner cartridge is engineered to be fully compliant with your printer's software and will work flawlessly with managed print software. 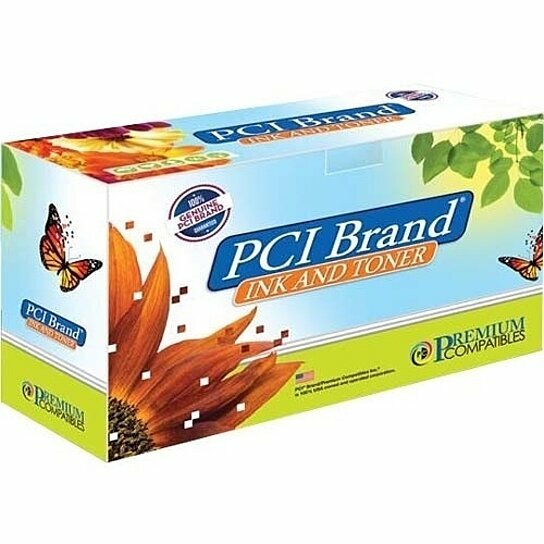 Try our PCI Brand Dell 310-8399 toner cartridge and you will understand why PCI customers love our products.